I cry easily especially at TV shows or films, usually during death scenes. Anything involving Nicholas Sparks gets me every time. But I don’t tend to read books that lead to tears. It’s been a while since I was heartbroken or moved enough by an ending in a book – I remember Black Beauty, Little Women and Anne of Green Gables sending me there when I was younger. And the ending of The Help was emotional for me but tears still didn’t spill. 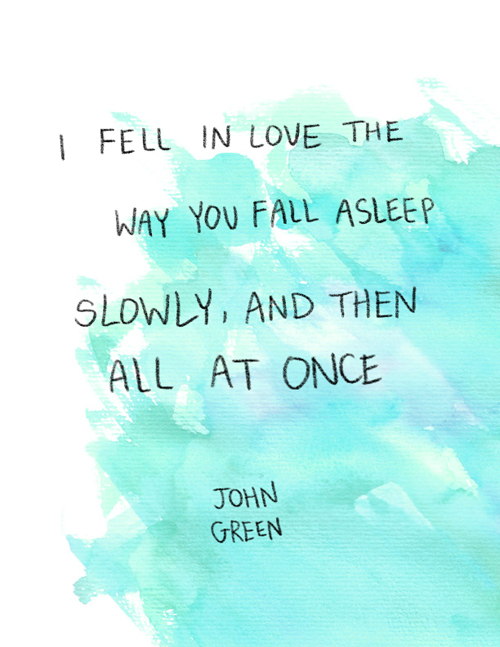 That all changed yesterday when I finished reading John Green’s The Fault in Our Stars. I actually had to put the book down as it was making me too emotional and the tears spilled several times during the last few pages. 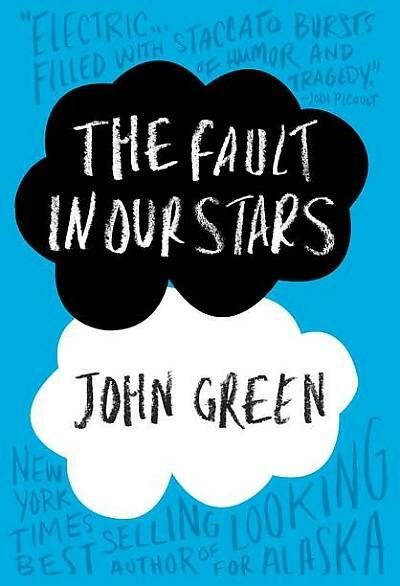 It’s a young adult story about a girl called Hazel who has terminal cancer and meets a boy at her support group. She falls in love for the first time with one foot in the grave. To tell you more of the story would ruin you discovering it for yourself. But I will tell you that it’s funny, sad, witty and tragic all at once. It makes you think about the Big things – love, mortality, family, the afterlife, illness and death. And it doesn’t provide easy answers about any of it. The story is moving, the writing sharp and beautiful and the characters settle themselves in your heart. It’s a really special book and one that I both can’t wait and dread to read again. It will be a while before I can as it affected me so strongly. I might have closed the book when I finished but it’s wrapped itself around my brain and won’t leave me yet. It’s left me heartbroken in the best possible way. What was the last book that made you cry? Ohh, this sounds like my kind of book, I might have to look into getting a copy! Wow, I think I am going to need to read this book now! I have been considering it for a while. The only book that has ever made me cry is Catch 22 by Joseph Heller, though The Book Thief by Markus Zusak came close. I don’t think I’ve read those, will check them out! Sometimes I like a good cry but you need to be in the right mood! The Book Thief left me in a withered, sobbing mass. Now I’m adding theotherwatson’s Catch 22 and The Fault in Our Stars to my reading list. Thanks for the recommendation, Victoria. Tell me if you do 🙂 looks like I need to read The Book Thief! The Book Thief turned me into an emotional basket case. I don’t normally cry at books, but I shed more than a few tears at this one. Wow. Just wow. A must read. Reading the LeCarre Smiley series had an impact on me recently, such a bleak outlook, well written and showing the human as well as the wider story. South Of Broad, another book well written, long on wonderful prose but short on story. I enjoyed it though. I’ll have to check this book out. I did tear up just a little while reading The Help. I hope you like it if you do! The Fault In Our Stars definitely made me cry. I’ve never felt so emotionally connected to any fictional character in my life. I don’t think I’ve ever loved a book so much. I’m glad you enjoyed it! It was a great read, I’m glad you loved it too! Thought you’d enjoy reading this article about John Green. He’s quite a guy. Have you seen his Vlog? Thanks Jackie, really interesting! I’ll check out his vlog too! Emotions are our greatest asset, young lady. Don’t ever be afraid to share yours! I agree, and don’t worry I won’t! Sounds like a great book. My Sister’s Keeper made me angry, then sad, and I cried–but I don’t know if I cried out of anger or sadness…!